How Much About a President’s Health Does the Public Have a Right to Know? It started when the American public was invited (as it were) to look over the doctor’s shoulder during Ronald Reagan’s colonoscopy. At that moment, when diagrams of the presidential large intestine showed up on the evening news, a long-standing tradition of silence went by the boards. The press had colluded in keeping secret the health issues of presidents from Cleveland to Wilson to Roosevelt to Kennedy, but no more. As stories about medicines Michele Bachmann takes for her migraines and how well they work continue to receive top billing from the media, we might do well to ask—what are the ethical implications of this new policy of openness about presidential health matters? While it’s clear enough that candidates for the highest office are now subject to differing expectations from the average patient when it comes to medical disclosure, it’s not at all clear where the line should be drawn. But before we can argue that such openness is “part of the job,” we need a public debate about what exactly should and should not be subject to these new requirements. There is a long tradition in medical ethics about maintaining the confidentiality of health information, which is one of the few ethical rules universally accepted today in medicine that can be found almost word for word in the Hippocratic Oath. There are two sets of reasons why confidentiality remains important. First, it’s respectful of the rights of patients—specifically, the right to control who has access to one’s personal information. Second, it’s of utilitarian value in medical practice—if patients could not trust doctors to keep information private, they’d refuse to divulge many bits of personal history that could prove crucial to diagnosing and treating their diseases correctly. Thus confidentiality leads to better health consequences than the opposite. That said, the rule of confidentiality is not absolute. One example is a public health need—a patient may not be allowed to keep information about an infectious disease private if the authorities need to know about that infection in order to take action and prevent an epidemic. It is generally held that such threats to other people legitimately override a patient’s right to confidentiality. The most common way that confidentiality is overridden in everyday medical practice, however, is completely consistent with the right to control personal information. It occurs when a patient freely gives consent to information being released to other parties. This brings us to the logic of a “public right to know” about a presidential candidate’s health. Presumably, no one put a gun to a candidate’s head and forced him or her to run for office. This leads us to the theory that everyone who throws his or her proverbial hat into the ring freely consented to what’s now generally understood to be the new rules of disclosure regarding presidential health information. But does this mean that I have no ethical unease when reading about Bachmann’s migraine medication? Not quite. The reason is that I am not aware of any clear statement that has ever been made by any authoritative group about what exactly these new rules regarding disclosure are and what limits they allow, if any. This becomes especially important as treatment for mental health concerns becomes more common. Traditionally, mental health records have been treated with a stricter level of confidentiality than general medical records (though it’s not clear whether this means that there’s a true ethical difference, or if we have been too loose about the ethics of regular records—many would argue the latter). Without a clear standard on these issues, a candidate can hardly be considered to have offered his or her consent. Likewise, how do we separate a “public right to know” about a mental health issue that could affect the leadership of a nation from our insatiable thirst for juicy gossip about celebrities? Suppose fifteen years ago a candidate and his spouse were going through a rough patch and sought marital counseling. There is hardly any likelihood that that episode relates in any way to whether that person, elected president, would suffer a mental breakdown in a moment of national crisis. But what about more serious mental health issues? Suppose a candidate had been prescribed antidepressants. Or suppose a candidate needed to take a drug for a chronic medical condition, and the drug was known to have potential mood-altering side effects. On the one hand, the fact that the person had sought professional help for the problem, and was under medical supervision, probably makes that person a safer bet to play a responsible role in public life than would be true if the person hid his problems for fear of the press finding out. On the other hand, the public might arguably have a right to know whether the person continued to be under the right sort of medical supervision if elected to office. And what about Michele Bachmann’s migraine medication? I cannot comment specifically as I don’t know any of the medical facts. As a purely speculative exercise, however, it would be extremely unusual for a migraine sufferer to have such severe headaches, or to be so unresponsive to the usual medications, as to be disabled in any way from high public office. 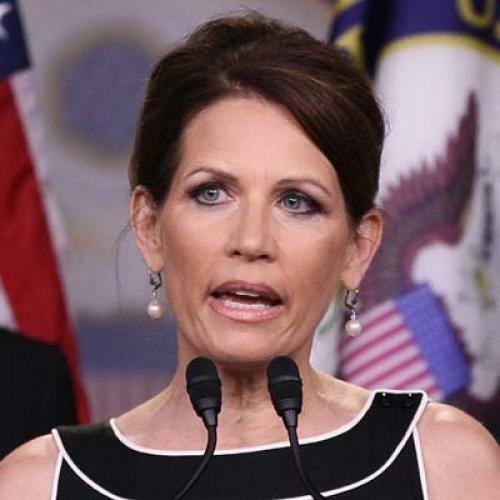 As Bachmann herself reportedly noted, simply being a presidential candidate is probably enough of a migraine “stress test” to prove that she’s capable. In the end, if I am going to hold a person to having agreed to give up a basic right to medical confidentiality because she chose to play a certain public role, my main concern is that the nature and extent of the rights given up are clearly known in advance. I am not sure just who the authoritative group would be to tackle this problem—whether within medicine, or including government and the press. But it would seem highly desirable that there exist a clear statement of what health information is expected to be made public and what information, if any, should remain private if one chooses to become a candidate for president. Until that time, expect the ethics of presidential health disclosures to only get thornier. Howard Brody, MD, PhD, is Director of the Institute for the Medical Humanities, University of Texas Medical Branch in Galveston, and the author of books on health care ethics, most recently The Future of Bioethics.